As a form of preventative health, we recommend that patients come in at four times a year at the very least. It’s ideal to do so when the seasons change since that is when people are most susceptible to colds and the flu. For better overall wellness and health maintenance, however, we advise that patients maintain treatments every 4-6 weeks. 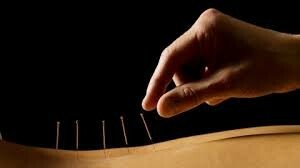 A regular treatment plan unlocks acupuncture’s greatest wellness benefits: restoring and maintaining the body’s own natural ability to heal and care for itself. Quite often, especially when receiving acupuncture for the first time, people immediately notice improved overall wellness in terms of energy levels, immune system strength, and reduced stress. They may stop treatment at that point, feeling that they have received the full benefits that acupuncture has to offer and deciding that they can return to their previous routine since the original issue they presented with has been resolved. In reality, that course of action is less beneficial in the long run. By its very design acupuncture highlights systems in the body that are being strained and stressed by our busy and complicated lifestyles. Spot treatments can indeed address short-term health problems, but they cannot treat or resolve the underlying issues that causes them in the first place. It’s not uncommon for patients to return later, realizing that a consistent approach is needed to bring their bodies into sustainable balance. We work holistically, over the course of several treatments, to fully address each patient’s total well-being. That way, they can be assured of a better life both today and in the long run. If you would like to learn more about how acupuncture can fundamentally improve your health, schedule an appointment or contact us for more information.